Wherever you're heading: the Bosch Performance CX motor and the comfortable, continuous Enviolo hub gear with Gates belt drive ensure pure riding pleasure everywhere. 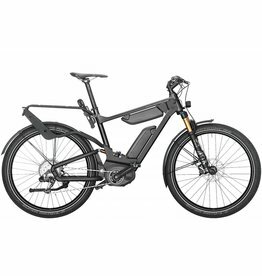 The maintenance-free gears and the Gates belt drive make the Delite GT vario ideal for touring, short outings and commuting. The Control Technology with full suspension, the hydraulic Magura MT4 disc brakes and the extremely bright 1,250-lumen Supernova M99 Mini front light ensure maximum safety. Schwalbe Super Moto-X Fat Tires prevent any sinking on soft terrain.